The SETsquared Partnership has been supporting tech entrepreneurs for the last 15 years. In 2017, Recognition were tasked with creating a way to celebrate the achievements of the previous 15 years by showcasing the leading SETsquared entrepreneurs, as well as highlighting their world-leading business incubation reputation to an audience of MPs and other business investors. The brief was to create a fun and memorable promotional hand-out. 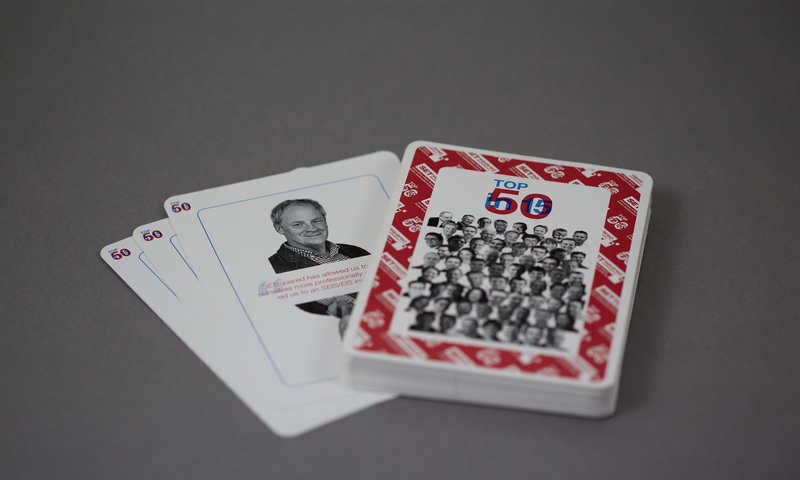 Recognition went one step further and created mock packs of Top Trumps style playing cards, with the Top 50 in 15 entrepreneurs as the theme. The campaign was launched at the House of Commons, with supporting event graphics including extra-wide pull-up banners and signage. 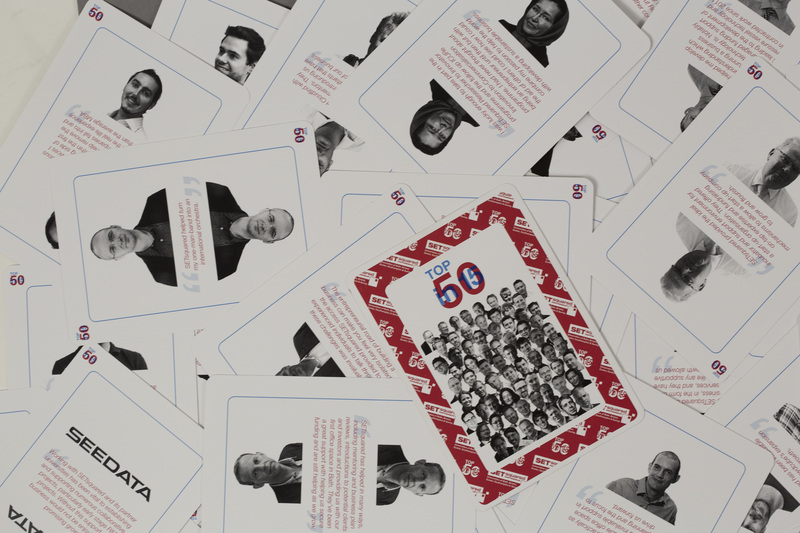 Packs of the Top 50 cards were handed out to attendees and created a real talking point. The Top 50 cards were also supplemented by social media campaigns and online materials, which received a record level of visitors. Following the event, supplementary web pages and social media graphics were created to anchor the campaign.